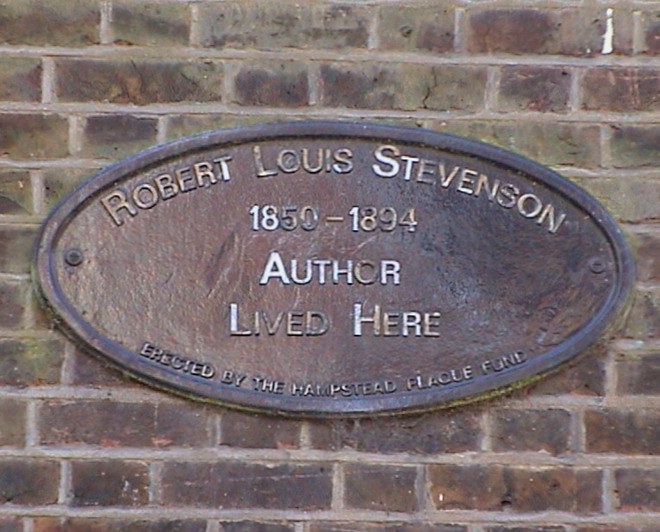 Robert Louis Stevenson, 1850 - 1894, author, lived here. Erected by the Hampstead Plaque Fund. 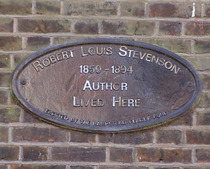 The plaque is on the pavement between the pairs of 'railway lines'.